The island of Corsica produces a wide range of wonderful wines, due, in part at least, to the variety of both soil types and altitudes, as well as the sea-breezes that soften the sun’s heat near the coast. What’s more, with mild winters and long hot summers, Corsica has less rain and more sunshine than anywhere on mainland France; the growing season is long and the typical harvesting conditions excellent. Yet despite all this, up until recently Corsican wines were little known beyond its own shores, in part due to very little being exported. 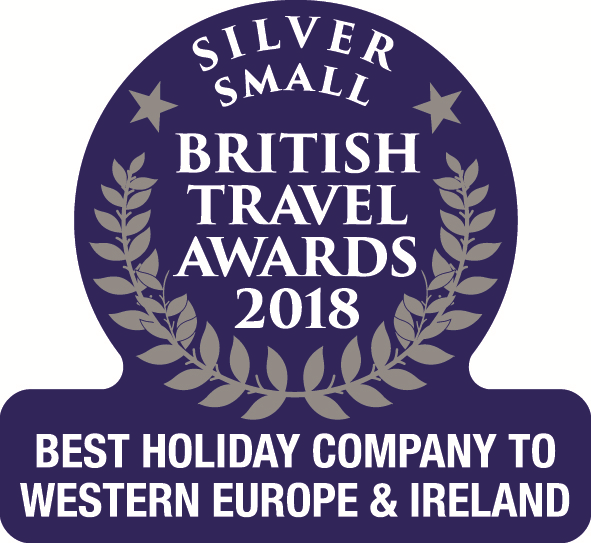 This is slowly changing, and with the latest generation of wine producers greatly improving the quality of the island’s wine, a number of award-winners are now available and wine makers are looking to move away from their reliance on the local tourist industry, actively seeking new markets further afield. While there are a large variety of grapes grown on the island, the three traditional varieties are the red grape, Nielluccio (more commonly known elsewhere as Sangiovese) and the white grape Vermentino (also known as Malvoisie), both reflecting the island’s Italian heritage, while last but not least, there is the red Sciacarello, which is unique to the island of Corsica. Traditionally, the two main regions which were considered the home of some of Corsica’s finest wines were Ajaccio in the south-west and Patrimonio in the north. 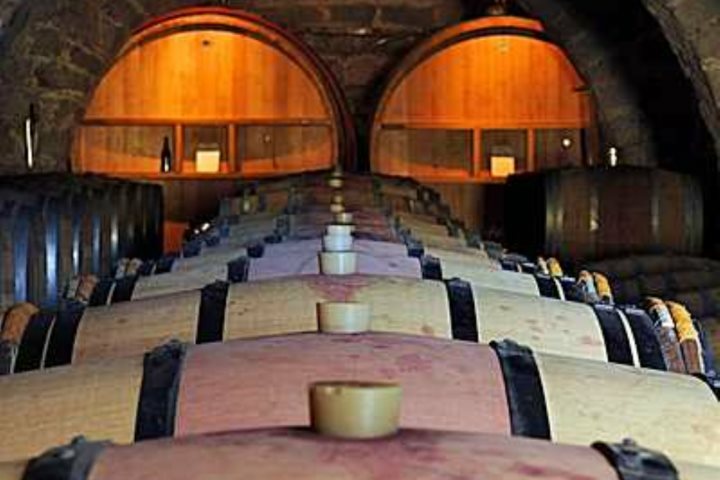 Ajaccio wines, the majority of which are medium-bodied, spicy reds and rosés, were granted AOC status in 1984. The Sciaccarello grape, which is most at home on the granite soils found here, predominates, but a host of other varieties are also featured. Ajaccio produces far fewer whites using Vermentino and Ugni Blanc grapes, a blend popular in Provence, the mainland region closest to Corsica both in terms of wine styles as well as geographically. At Clos d’Alzeto in Sari d’Orcino near Ajaccio, Pascal Albertini has built a state-of-the-art winery. These vineyards have been tended by his family since 1800, growing mainly the traditional Sciaccarellu red and Vermentino white grapes. At almost 600m, these are the highest vineyards in Corsica and are well worth a visit for the spectacular scenery as well as for the great wines. For further information contact Clos d’Alzeto on 04 95 52 24 67 or email contact@closddalzeto or visit their website Closdalzeto.com. In contrast, Patrimonio is on the southern end of the Cap Corse peninsula where the soils are composed of chalky clays and limestone, making them distinct from the rest of the island. The wines produced here are also from the traditional grape varieties, using 100% Vermentino for the whites and 90% Nielluccio for the reds and rosés, with the addition of a little Sciaccarello or even Grenache. This is one of the most active wine producing areas of the island, where the limestone slopes bring out the true character of Nielluccio beautifully. What’s more, the Vermentino wines from the area are just as exciting and unique. South of Patrimonio, but still in the north of the island, is the Vin de Corse Calvi area, where around half the wines produced are rosés, but there are also many red wines, both commonly using a much larger variety of grapes than you’ll find in either Ajaccio or Patrimonio. One reason for incorporating new varieties is the low yield of the traditional grapes and so they are blended with higher yielding ones. The few whites that are produced in this area, however, are still predominately from the traditional Vermentino grape. In recent years, wines from more southerly domains have been growing in reputation, namely those of the Vin de Corse Sartène, Figari and Porto Vecchio appellations. As found around Patrimonio, these wine areas predominately produce rosés, with some reds and fewer whites. 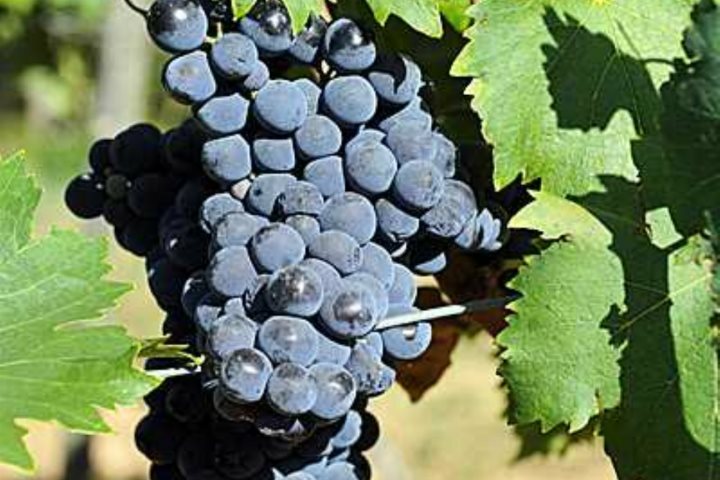 The primary grape varieties for the reds and rosés are Grenache, Nielluccio and Sciaccarello. Two particularly good vineyards to visit in these areas are Domaine Saparle in Sartène and Domaine de Torraccia near Lecci, Porto Vecchio. 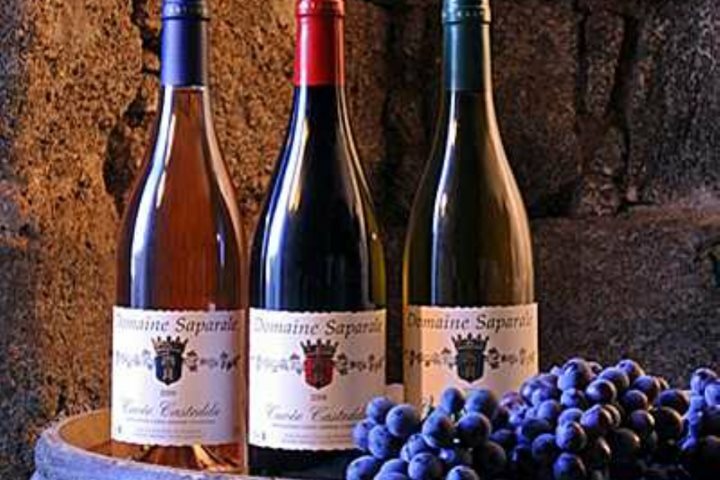 Originally founded in the 19th century, Domaine Saparale, is a 1,000 hectare estate which had been abandoned for more than 60 years. When Phillippe Fairnelli inherited the land, in 1995, the vineyards were re-born and now produce some of the finest wines in the area, using only the three traditional grapes of Corsica.. Visits are by appointment only by calling (+33) 04 95 77 15 52 or emailing contact@saparale.com. Further information can be found on their website Saparale.com. However, whilst there are many excellent domains to visit in Corsica, it is Christian Imbert, who started the Torraccia vineyards from scratch some 50 years ago, who is considered the father of modern Corsican wines. He was instrumental in improving the wines of Corsica and a fervent exponent of the traditional grapes, preserving the typicity of the Nielluccio, Sciacarello and the Vermentino wines with passion in his belief that they were the only way forward for Corsican wines. His vineyards, now run by his son Marc, are still predominately using these traditional varieties and producing wine renowned for aging well. Visitors are welcome without an appointment but guided tours can only be arranged if booked in advance by calling (+33) 04 95 71 43 50 or emailing torracciaoriu@wanadoo.fr. Further information can be found on their website Domaine-de-Torraccia.com. With these wonderful vineyards to visit, producing some excellent wines, set in spectacular landscapes and with no VAT to pay, a holiday in Corsica is a great choice for any wine-lover and despite a variety of, relatively speaking, ‘new’ grapes being introduced it’s great to know that so many vineyards are keeping with the traditionally grown varieties thus preserving Corsican wines’ uniqueness and originality. Photography courtesy of Domaine Saparale.